I'm happy to help Cardeno C celebrate the re-release of her beloved Home Series. Some lucky winner is going to win the entire ebook box set. I hope it's you. Good luck! Psst, I'll have my review of Love at First Sight up later in the week. Do you want to win an ebook box set of the Home collection? Answer a question about a book in the collection and you’ll be entered in a random.org drawing to win. Visit Cardeno C.’swebsite to find the answer and then submit it via thisform. All answers must be received by Feb 28th, 2015. You can view the list of blogs with questions for more chances to win here: http://www.wlkbookpromotions.com/?p=532. Do you enjoy writing stories or creating art based on your favorite books? Here’s your chance for your hard work to pay off! 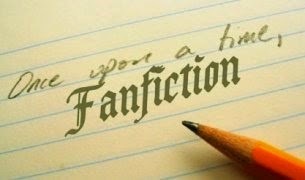 Submit an original fan fiction story or fan art project based on the Home collection via email (michelle at wlkbookprotions dot com) by February 28th. Visit CardenoC.’s website to learn more about the books. All entries will be entered into a drawing to win the Home collection ebook box set!